The sun rises from east to west, but still, it carries the same heat all-around. Sun shows us all that there is no difference between any of us who lives anywhere. North or south, east or west, there are only Sri Lankans with the same blood in this motherland. It is Yaldewi who carries the love and affection from south to north, which is not just a train, but a blood vein that connects us all together. So UoM Leos, carried the warmth of harmony and happiness from Colombo to Jaffna through the same blood vein for the 3 rd consecutive year on 12th and 13th of January 2019. But this year, it was more than a Pongal celebration. 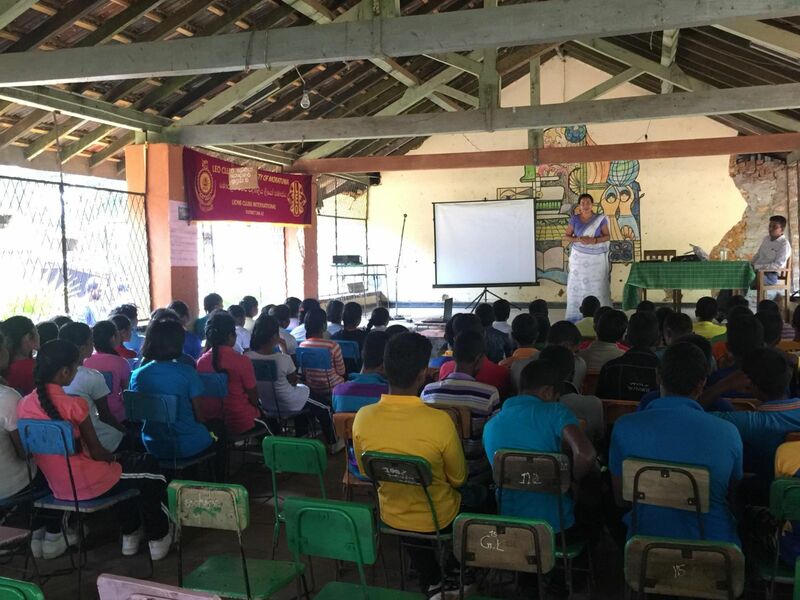 UoM Leos together with the Sri Lankan Army Vijayabahu Regiment 10 th Battalion distributed stationeries to flood affected school children at Aliyawalai C.C. Tamil Mixed School in Jaffna. Beach cleaning project was one of the best projects done during those two days as that beach was full of scattered waste and it was sad to see such an unclean place that harms the beauty of our motherland. Since it is one of our utmost duties to clean the environment UoM Leos did it with a great motive and the pleasure of leaving a beautiful country to the future generation. The best experience came in the evening of the 2 nd or the last day, when we played cricket matches with our nations’ guardians. It is always a pleasure and an honor to spend time with them and we were blessed to spend a whole day with them. “We are only as strong as we are united, as weak as we are divided.” Kolomthotin Yalpanamata is also a step towards peace and unity among Sri Lankans. 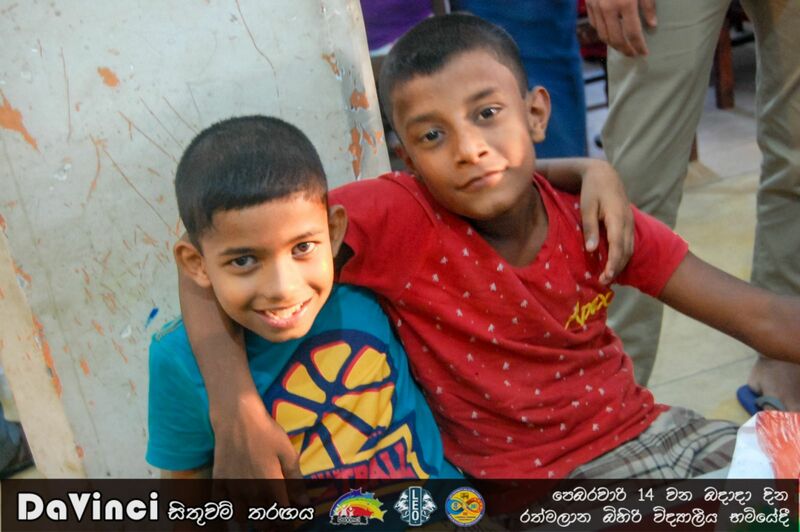 Avurudu Waram is another amazing project organized by the Leo Club of University of Moratuwa District 306A2 twinned with Leo Club of St. Michel’s Institution of Leo District 308B2 to celebrate Sinhala and Tamil New Year with the children who missed their parental love, affection and care in their childhood. 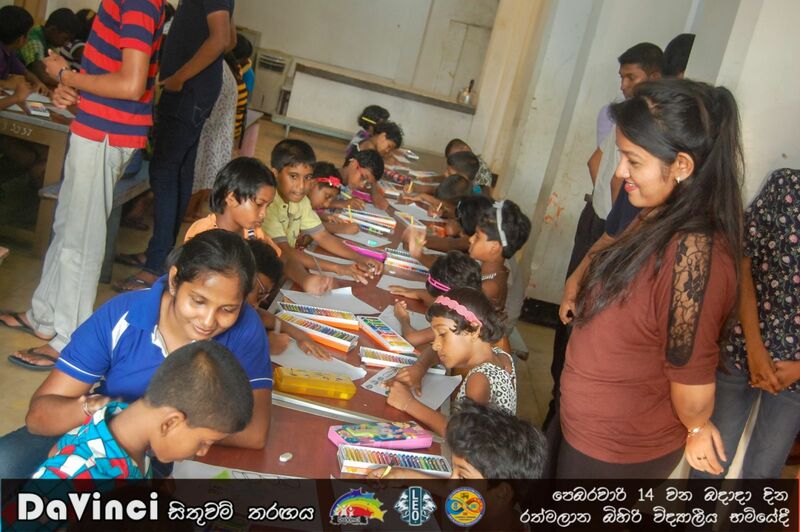 It was held on 22nd of April at Sarvodaya Suwasetha children’s home, Baddegama, Sri Lanka and Precious Gift Orphanage Society, Perak simultaneously. Leos who participated in this event in both countries did their maximum to entertain the children and bring laughter to their faded faces. 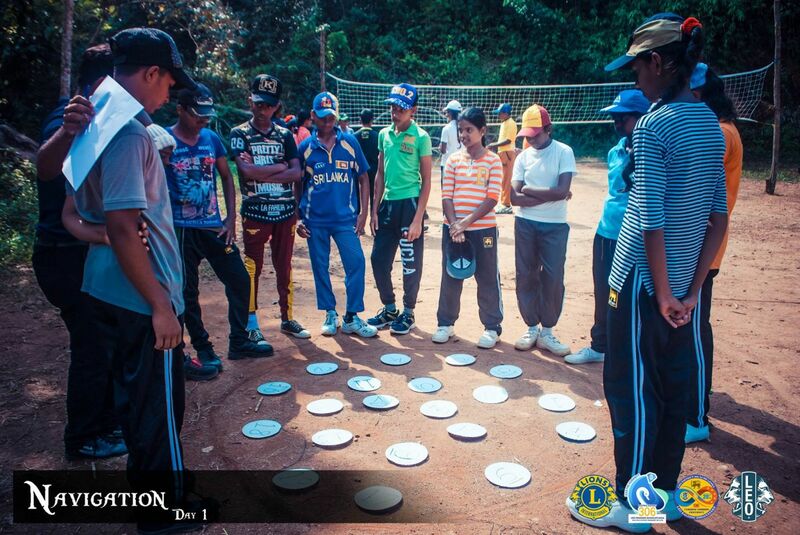 A meal filled with avurudu sweets was prepared at the children’s home, Baddegama and they were able to join with different avurudu games and events. 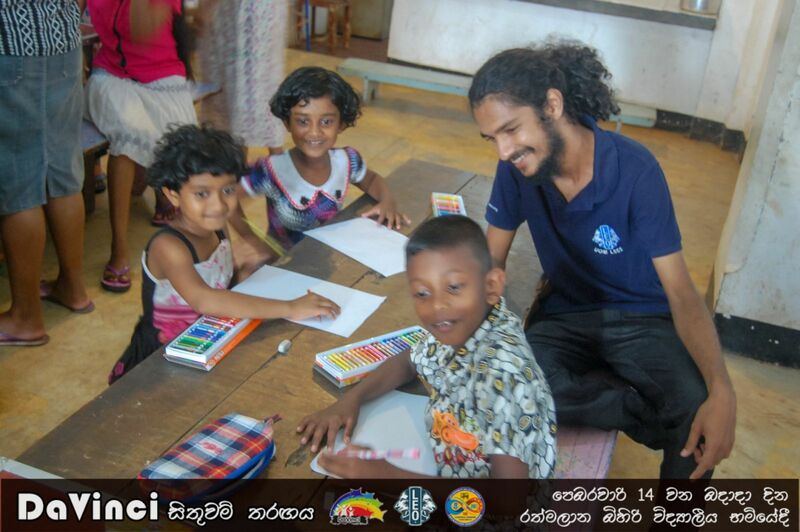 Finally, we successfully conclude both of the projects while passing the true message of Sinhala and Tamil New Year. Leadership is unique to everyone. Each and every leader has their own style. In order to built trust and enhance leadership abilities and team skills of students of WP/Mt Halwala C.W.W. Kannangara Maha Vidyalaya, we, UoM Leos conducted a two-day leadership camp on 20th and 21st of January at their school premises. We hope that this broadens students' both personal and interpersonal skills. Service to be done, opportunities to be taken, courage is already there so we have to have the collection. For collect in a creative way, we, the UoM LEOs staged a drama as a fundraising project. ‘Eka sakkuwe’ was a popular drama which was a proud production of Mr Sarath Kothalawala. It was staged on 25thof October 2017 at Old gym of University of Moratuwa, in two shows, 4.30pm and 7.00 pm. So many university students and even Leos too came to watch this drama, and we were able to see the queue of hopeful joyful spectators before show times. The well-known actors who were present in the drama performed their best to convey the message of the drama to the audience. And we could conclude it as todays drama which touched the core of the hearts of audience by seen the feedback of the invitees and spectators. The great writer Shakespeare has told that life is a stage and we are mere actors on it. So we provided the chance of visualizing the reflection of our selves for two hours by conducting this project. Ultimately this can be nominated as a successful project which satisfied the Leoism once again. 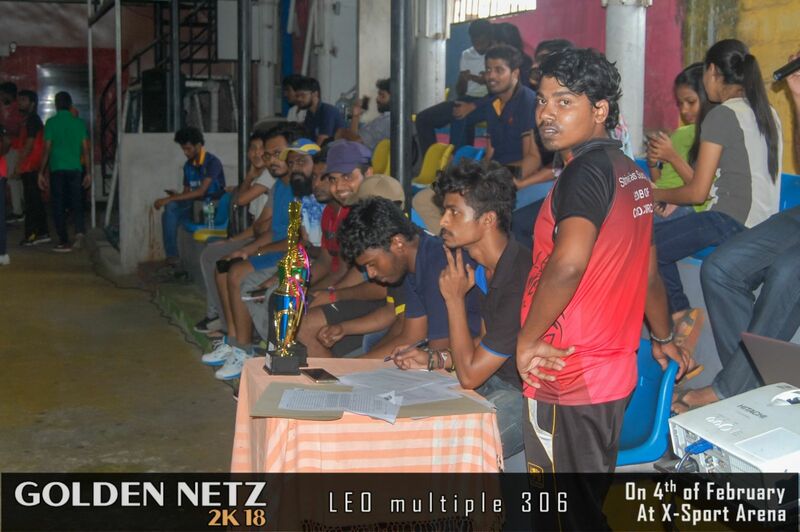 Golden Netz’ was an Indoor Cricket Tournament which was organized for Leos of Leo Multiple District 306. 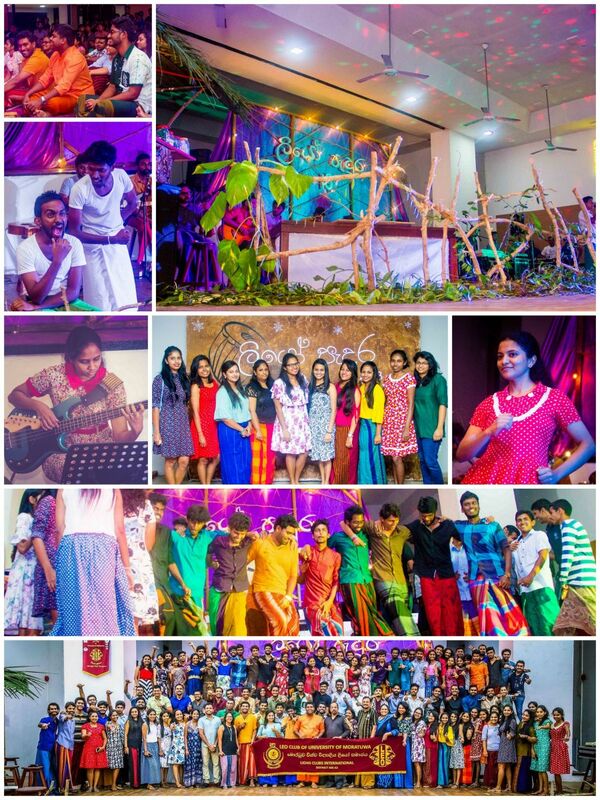 It was proudly organized by Leo Club of University of Moratuwa - The Most Outstanding University Leo Club in Sri Lanka in Leoistic year 2016/2017 together with other twelve most active Leo Clubs in Sri Lanka, representing all six Leo districts for the 3rd time. 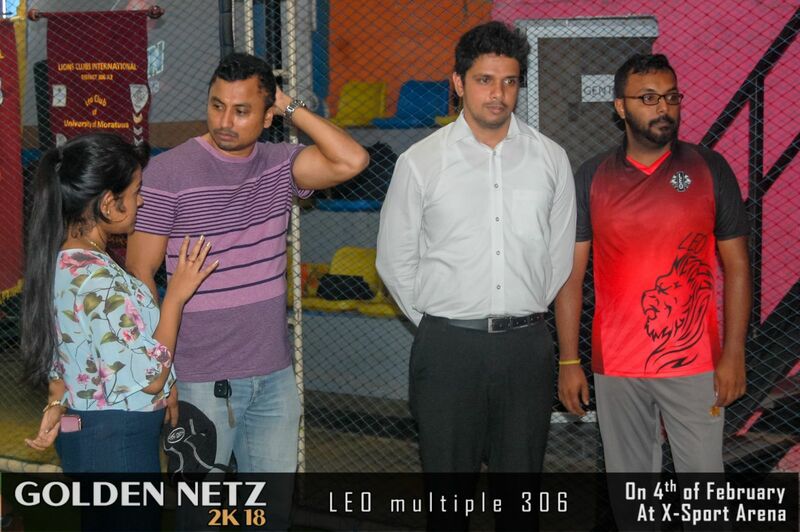 This time the tournament was held on 4th of February 2018, the day which Sri Lankan’s celebrated the 70th year of independence, at X-Sport Arena, Mattakkuliya. Sri Lanka Technological campus. 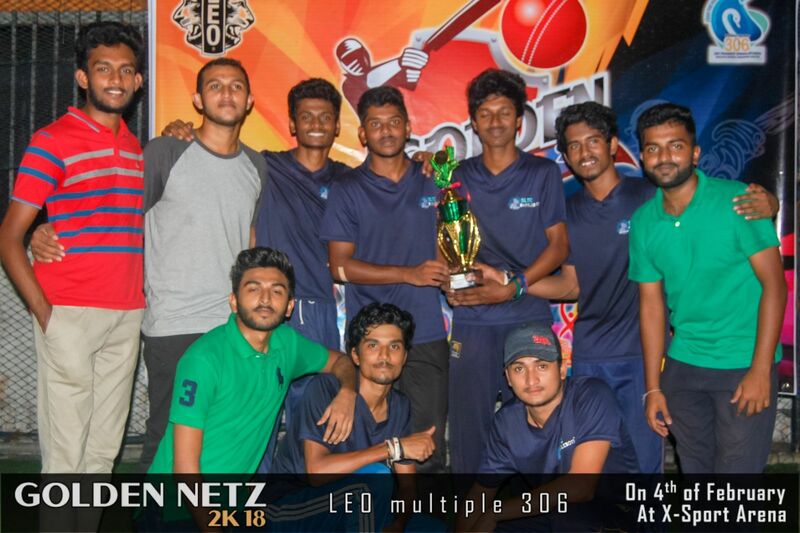 The winning team was awarded the winner’s trophy and ten thousand rupees cash price, while team Leo Club of University of Moratuwa received runners-up award. Hereby we would like to thank all participants who got together with us to make it a success. ලියෝ පැදුරෙ මතක ගොනුව මුහුනු පොතේ පලකෙරෙච්චි. ලියෝ පැදුර මතක් කරව් මේ රූ පෙල දැක බලද්දි. 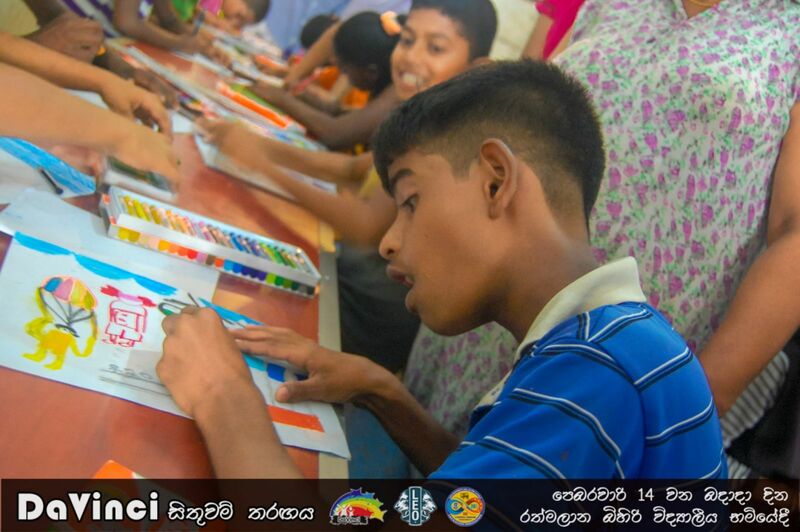 Akurata Eliyak was a project organized by UoM Leos, joining hands with the Lions club of Dehiwala North, to lighten up the life of the school children who try to win their life with the name of education. It was held on 27th of December at the Batuwangala Central College, Neluwa which was a school aﬀected from the ﬂood. In this project, we were able to fulfill the need of a computer lab with necessary equipment which was a shortage since last few years in this school. We donated about 5 lakh LKR worthy school accessories including photocopy machines and instruments for the aesthetic unit. Not only that but also the sound system and the computer lab of the school was repaired with the help of Leos and prospects who joined this event. We hope that our eﬀort was a huge strength to the students of this school and we were able to do our duty towards the society once again through this remarkable project “Akurata Eliyak”. සීතල උදුවප් මාසයේ මාපිය උණුහුමට ගුලිවෙමින්, නත්තල් අසිරිය විඳ දරා ගන්නට දහසක් බලාපොරොත්තු හදවතේ ඇති වුවත්, එය අත්විඳීමට තරම් වාසනාව නොලද්දාවූ බොහෝමයක් දරුවන් අප අතරම සිටී. තවත් එවැනි දරු කැලකට අස්වැසිල්ලක් වෙමින්, උදාවූ නත්තල් අසිරිය ඔවුන් සමග සෙනෙහසින් බෙදා ගැනීමට, මොරටුව විශ්වවිද්‍යාලයේ ලියෝ සමාජයේ අපි තීරණය කළෙමු. එම පැතුම පෙරදැරි කරගෙන, දෙව් සෙනෙහස ලොව පැතිරෙන අසිරිමත් නත්තල් උදාවට හෝරා කිහිපයක්පමණක් තිබියදී, උඳුවප් මස 24 දින සවස්‌ යාමයේදී, අපි ගාල්ල, බටගන්විල “සුවසෙත” ළමා මධස්ථානයට පියමන් කළෙමු. සිඟිති මුව සිනහවෙන් සරසන්නට නත්තල් තෑගි පිරිවරාගෙන එහි ගොඩවූ අපි, ඔවුන් සමගින් හෝරා කිහිපයක්ම විනෝදාස්වාදයෙන් යුතුව ගත කළෙමු. නත්තලේ සැබෑ අරුත ඔවුනට හරිහැටි අවබෝධ වූවාදැයි නොදැනුනමුදු, ඔවුන්ගේ සිඟිති ලෝකය සතුටින් පුරවන්නට අප වරක් හෝ හේතු වූවා යන සිතුවිල්ල සමගින්, අකමැත්තෙන් වුවද ඔවුනට සමු දෙමින් අපි නික්ම ආවෙමු.